Part of the Nutcracker Suite Treats Collection. Measures 2.75 x 3.75 inches. 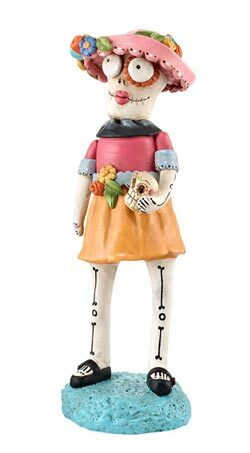 Day of the Dead Female Skelly Figure, by Enesco / Department 56. A Janelle Berryman design, part of her 2013 Day of the Dead Pumpkinseeds Collection. Measures approx 6.3 x 2.09 x 2.36 inches. Made of resin. Other items in collection also available! 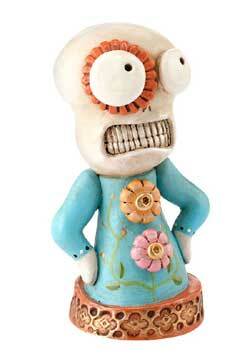 Day of the Dead Flower Skelly Figure, by Enesco / Department 56. 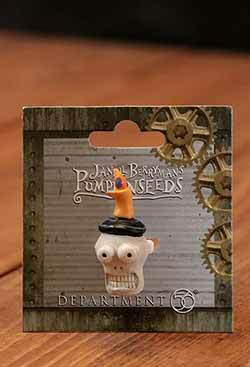 A Janelle Berryman design, part of her 2013 Day of the Dead Pumpkinseeds Collection. Measures approx 2.99in H x 1.41in W x 1.65in L inches. Made of resin. Other items in collection also available! 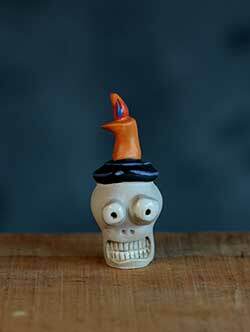 Day of the Dead Male Skelly Figure, by Enesco / Department 56. 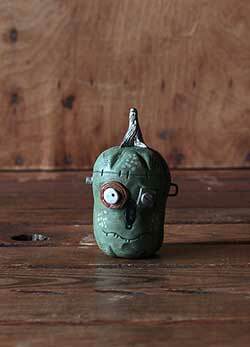 A Janelle Berryman design, part of her 2013 Day of the Dead Pumpkinseeds Collection. Measures approx 7.48 x 2.17 x 2.36 inches. Made of resin. Other items in collection also available! 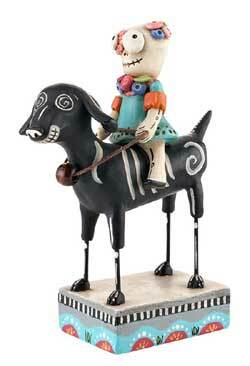 Day of the Dead Skelly on a Dog Figure, by Enesco / Department 56. 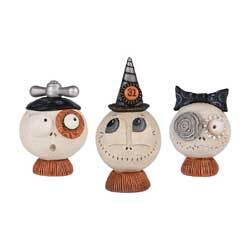 A Janelle Berryman design, part of her 2013 Day of the Dead Pumpkinseeds Collection. Measures approx 5.31 x 1.77 x 4.09 inches. Made of resin. Other items in collection also available! 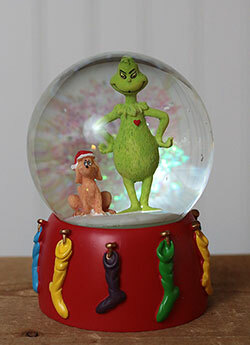 Drop Swirl Glass Ornament, by Enesco. Silver glitter accents the stripes on this unique peppermint stripe reverse teardrop glass ornament, in a red, pink, and white color scheme. 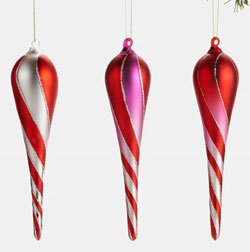 Sold individually from 3 designs - Choose (from left to right) the Silver, Pink, or Red Ornament. Measures 7 inches. Glass. 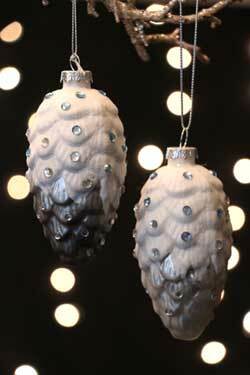 Glittered Loop Ball Ornament, by Enesco. 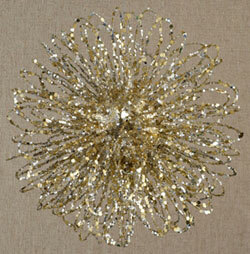 Glittery metal-looped ball ornament in shiny gold and silver! Measures approx 5 inches. Steel. Halloween Pin, by Enesco / Department 56. 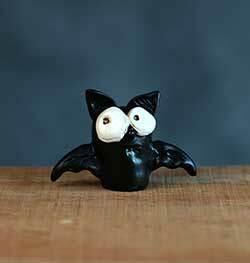 Darling resin pin designed by Janelle Berryman of Pumpkinseeds. This is for the Jack O'Lantern. Measures approx 1.85in H x 0.98in W x 0.98in L. Made of resin. Other items in collection also available! Halloween Pin, by Enesco / Department 56. 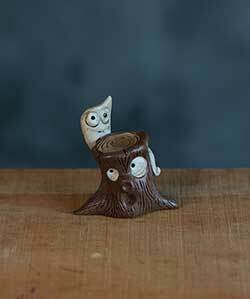 Darling resin pin designed by Janelle Berryman of Pumpkinseeds. This is for the Skull. Measures approx 1.85in H x 0.98in W x 0.98in L. Made of resin. Other items in collection also available! 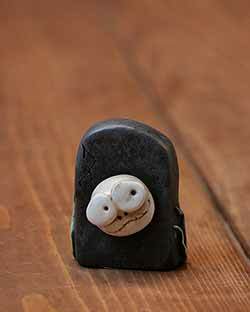 Halloween Tombstone, a Janelle Berryman design, part of her Pumkinseeds Originals line. Reproductions from Janelle's original paperclay creations, these wonderful figurines have truly unique character. You can see the quality in the whimsical forms, detailed painting and antiquing. This is for her Halloween Tombstone. Measures about 2.5 inches. 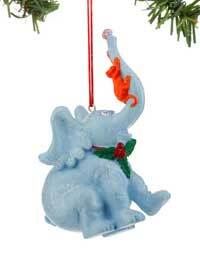 Snail Mini Shell Ornament, by Enesco. 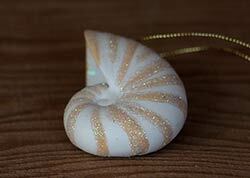 Mini porcelain snail ornament, white and sand with accents of glitter. Measures approx 2.125 x 1.75 inches. Made of porcelain. 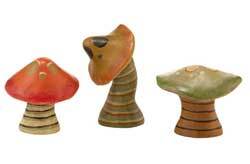 Mushroom Clip Ornament, by Enesco/Department 56. 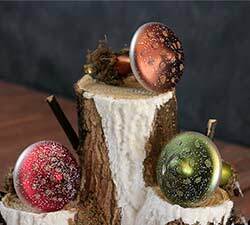 Glass mushroom clip-stue ornament ornament with glitter accent, sold individually from the three in photo - Choose the Wine Red, Brown, or Forest Green Ornament. Part of the Winter Frost Collection. Measures 3.25in H x 2.375in W x 2.375in L. Made of glass. 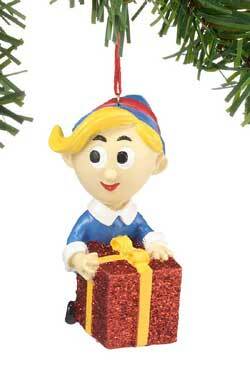 Small Nutcracker Ornament, by Enesco/Department 56. Part of the Nutcracker Suite Treats Collection. 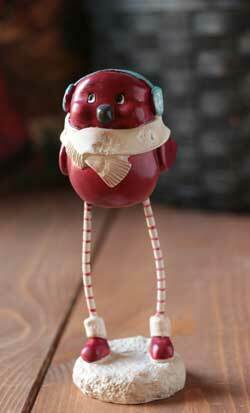 This is for the RED nutcracker. Measures 7 inches. Made of glass, feathers, and resin. 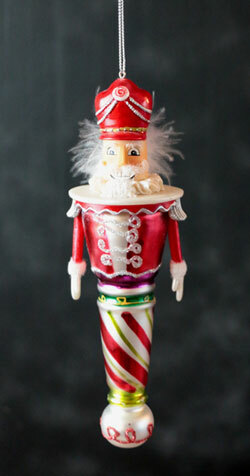 White Nutcracker Ornament, by Enesco/Department 56. Part of the Nutcracker Suite Treats Collection. This is for the WHITE nutcracker. Measures 7 inches. Made of glass, feathers, and resin. Measures A Janelle Berryman design. 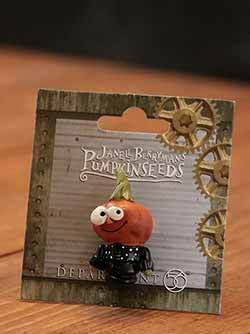 Part of her Steampunk-themed Pumpkinseeds Collection. 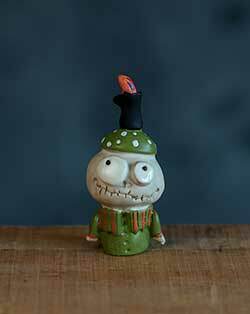 Punked Skelly, by Enesco / Department 56. Sold individually from the three designs shown - choose the mini skeleton on the Left, the middle, or the Right. Measures 4.65 x 2.3 x 2.36 inches. Measures A Janelle Berryman design. 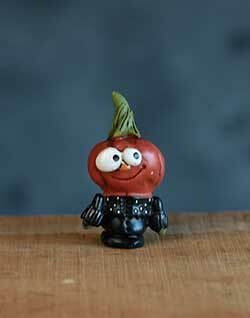 Part of her Steampunk-themed Pumpkinseeds Collection for 2013. Made of resin. Other items in collection also available! 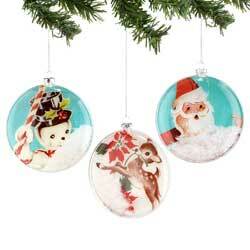 Retro 1956 Disc Ornament, by Department 56/Enesco. Retro-style TV Ornament. 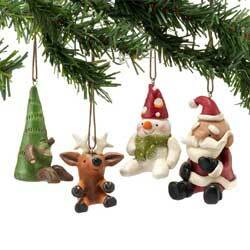 Sold individually - Choose the Snowman, Reindeer, or Santa ornament. 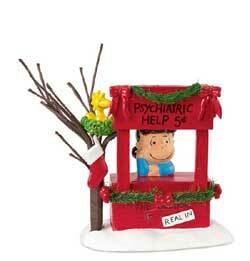 Part of the A 1956 Christmas Collection. Measures 4.25in H x 1in W x 4in L. Made of glass. 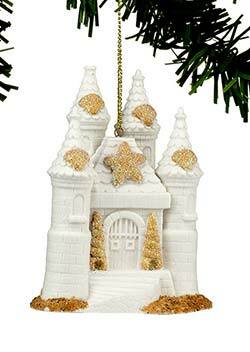 Sand Castle Ornament, by Department 56 / Enesco. 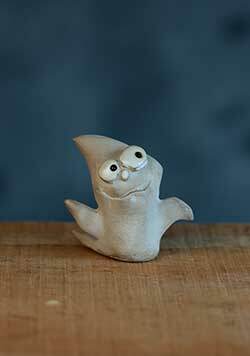 Elegant porcelain sand castle ornament. Measures 2.56in H x 2.95in W x 3.58in L inches. Made of porcelain. 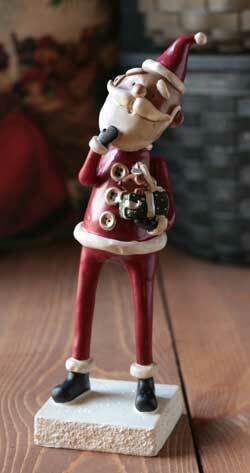 Santa Suit Ornament/Card Holder, by Enesco/Department 56. 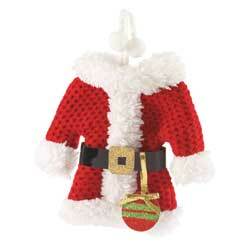 Use this mini Santa suit to decorate your tree, hold a gift card, decorate a Christmas package or hold eating utensils on your holiday table. 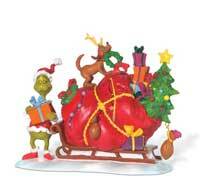 Santa with Gingerbread Figure, by Enesco / Department 56. 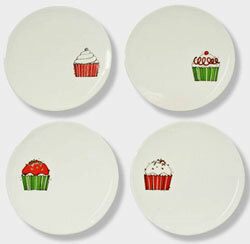 A Janelle Berryman design, part of her 2013 Pumpkinseeds Holiday Collection. Measures approx 7.5in H x 3.35in W x 3.35in L inches. Made of resin. Other items in collection also available! 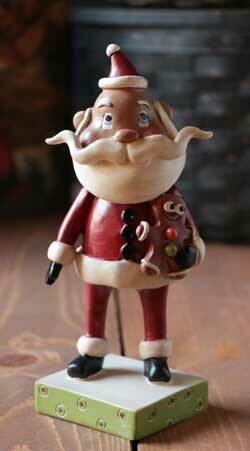 Santa with Present Figure, by Enesco / Department 56. 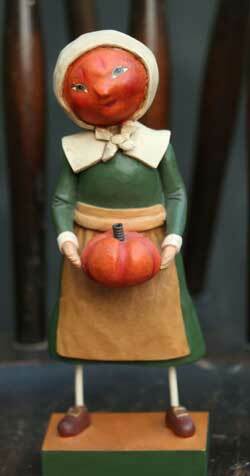 A Janelle Berryman design, part of her 2013 Pumpkinseeds Holiday Collection. Measures approx 8.5in H x 2.25in W x 2.6in L. Made of resin. Other items in collection also available!